On Saturday 21 May, Manchester United will play against Crystal Palace in their 17th FA Cup final since the start of the 1950s. Over the decades there have been highs like Eric Cantona’s winner in 1995 against Liverpool and lows like the 3-2 defeat to Arsenal back in 1978/9. Ahead of the FA Cup final against Palace, we want to take you down memory lane and run you through some match day thoughts and memories from every FA Cup final dating back to 1956/7 when Sir Matt Busby guided the Babes to victory. Enjoy! 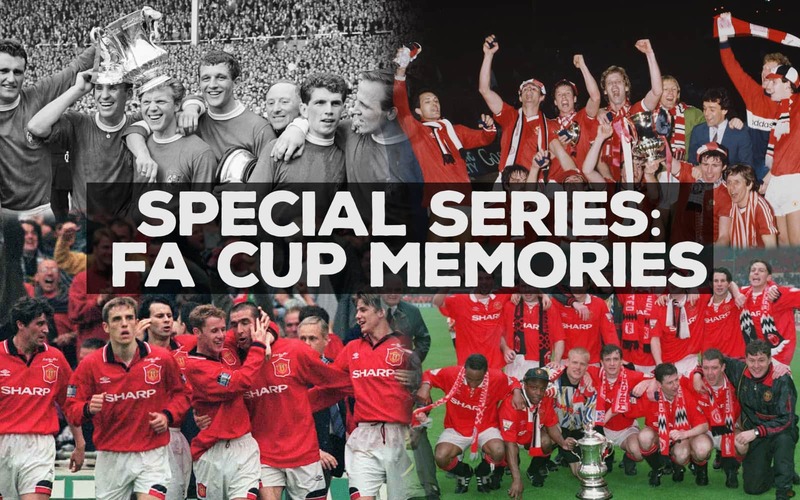 To read about each FA Cup final, simply click on the corresponding link.